Many people go the traditional route when having a baby. Meaning most people have their baby in a hospital setting, with a rushed labor and more than likely an induced labor. When the baby comes out, the umbilical cord is snipped and the hysterical baby is handed to the mother before being rushed off for weighing, shots, etc. This has become a tradition in our society, and not that its bad, but there are other ways that more resemble the original ways of birth before money came into play, and before it was the norm to rush delivery and get the patient and baby out of the hospital so the next patient can come in. There are many instances where a hospital is necessary and the “normal” way of birthing is best, such as if you are at risk for any complications or need a cesarean due to concerns or complications. A lot of times, mothers and fathers are unaware of any alternative ways of birthing, and to my surprise there are very few people that have ever even heard of what a lotus birth is. My wife and I had a lotus birth with our daughter, now 3 years old, and our newest son, now 6 months old. We noticed a huge difference in many aspects than when we had the normal hospital birth with our twin boys. Two of the biggest differences we noticed were that with a lotus birth, our babies did not cry until a few days after being born. With our twins, as soon as they got the umbilical cord cut, they were screaming from that second on. Another big difference we noticed is that our twins had complications with sickness, while our newest son and daughter had no sickness whatsoever until far after being birthed. There are many reasons we personally believe this happened, although there are not much evidence to prove our theories. There has been very little research done on lotus births because our society thinks of it as very risky behavior but we know otherwise. 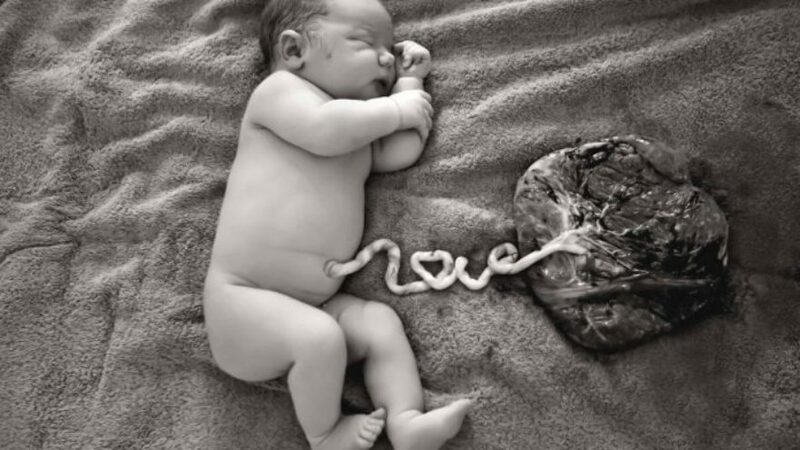 A lotus birth is where you keep the umbilical cord and placenta attached to the baby until it detaches naturally. This usually happens anywhere from 3-10 days after giving birth. With our son, Okeanos, his umbilical cord came off 4 days after birth. With our daughter it took a bit longer at 11 days. Why would somebody choose to have a lotus birth? There are many reasons and it varies depending on the individual you are talking to. Many practice this because it is a norm in their culture. As new as it may be to our society, this has been the way many cultures birth for generations. The reason we chose to do a lotus birth is because we believe that the baby can feel the umbilical cord being cut, and it hurts them physically. This is evident, if you pay attention when a cord is cut, the baby reacts and it is very traumatic for them. 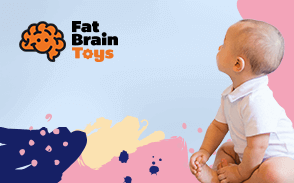 The other reason we chose to take this route is because we believe that there are still some very vital nutrients that are essential to the babies health. The cord is still pulsating even after birth, and letting those important nutrients get to the baby is important in our opinion. Another reason is because when the placenta is still attached, it proves difficult for the mother and baby to be too active in the first week or so after birth. We thought that this is advantageous as mother and baby can have that first week to lay in bed and bond. Mama is pretty ore after birth and laying in bed with baby gives her time to recuperate. Many new moms want to show their baby off to the world, which is fine, but we thought it would be a good idea for mother and baby to stay in bed, at least until the cord detaches, and bond. This is important so that baby isnt exposed to a variety of possible sicknesses other people may have and the mother can have time to relax and be treated like the queen she is! As with anything, there are risks involved. If done properly however, you have nothing to worry about. Many doctors claim that the risk of infection is too high to practice such a birth, but we disagree. It all has to do with how you care for the placenta and the baby during this important time. Which we will cover! How does one properly perform a lotus birth? So, there are many ways this can be done but through our research we have found ways that have worked for us with no problems. When baby (and placenta) come out the first thing you want to do is wash the placenta of any excess blood (there will be a lot!). This is easiest when you have some help. An example would be mama holding the baby and the daddy washing the placenta. The placenta is slippery, so be careful! To let it drain, we use a strainer, yep thats right! The same kind of strainer you use for making noodles! We put the placenta in this and put the strainer into a bowl to catch any excess liquid. After this, usually a few hours after birth, you are going to want to wrap the placenta in some sterile cloth pads. Usually, if you’re at a birthing center, they will have these readily available. You will want to keep the placenta in these until it stops pulsating and is clean. You can wash it as much as you need in order to get all the excess blood off, we have found that we usually wash the placenta about 3 times the first day. You can change out the pads as much as needed as they will soak through. Usually we keep the placenta in these pads until late in the second day. At this point, risk of an infection is increasing as the placenta is exposed to airborne contaminants. It is at this stage that you will want to cover the placenta completely in a mixture of salt and antimicrobial herbs. In planning for a lotus birth, we purchase a large amount of organic salt, around 3-4 pounds. We also purchase herbs such as rosemary, thyme, lavendar and any other antibacterial herbs of your choosing. Prior to placing the placenta in this, you will want to mix the salt with the herbs. Keep in mind that the majority of the mixture will be salt, as this is a preserving agent that will keep the placenta safe from contaminants and start to dry it out so that you can preserve it. The method we use is to put a good amount of salt in a new bowl, lay the placenta in there and cover it the rest of the way with the salt and herb mixture. It is a good idea to change the salt mixture at least twice, as the salt will begin to absorb the moisture in the placenta and you want the salt to be as fresh as possible. The salt and herbs is an important step that will save you from the risk of infection and smelliness! Once this is complete, all you have to do is wait for baby to detach naturally. This happens when the cord is dried and it comes off the baby. For our daughter, she started tugging on it and pulled it off herself. For our son, his detaches in the night time, most likely from him rolling over and it just coming off. Is there anything I should keep an eye on? There is some obvious signs that something bad is happening, such as smell. When something gets infected it tends to have a really bad smell, in which case it would be a good idea to notify your family pediatrician or midwives and get it looked at. We have never had a problem though and if you follow the steps, we doubt you will either. Another thing to keep an eye on is the belly button. From baby moving around it is possible to have the belly get a little bit irritated, which is normal. We kept a close eye on the site of attachment and regularly (about 3 times daily) took a q-tip with hydrogen peroxide and cared for the belly button. You can also drop a few drops of hydrogen peroxide directly on this area as well, just as a preventative measure so you do not experience any infection. With these steps, you can have a successful lotus birth yourself! We always recommend doing your own research and truly think to yourself if this is something you want to go through with. For my wife and myself, we know that this is a beautiful thing to experience and we will always choose this way when we have a child. We hope that you, as well, can choose to experience something as great as this!